A warm welcome with tea and Welsh cakes. 2 minutes by car from the mountain bike trails. 20 minutes from the National Botanic Garden of Wales and Aberglasney Gardens. 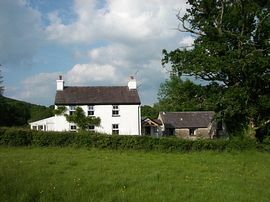 Ty'r Cae, situated in the broad river Cothi Valley, surrounded by farmland and woods and enjoys magnificent rural views. 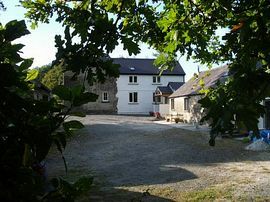 The large stone built Welsh farmhouse with an attached, recently restored and converted stone barn, offers centrally heated, spacious accommodation with a high degree of privacy and comfort. Exploring the Brechfa forest by foot or using the fantastic mountain bike trails. The salmon and sea trout fishing in the Cothi and Tywi rivers. 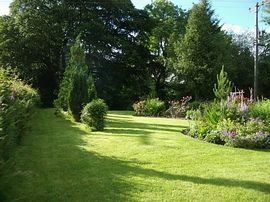 Aberglasney Gardens, The National Botanic Gardens and Carmarthen town, together with numerous places of interest. The Black Lion Inn in Abergorlech and the Plough Inn in Felingwmuchaf, are fine pubs offering good food and a warm welcome. The Ty Mawr Hotel in Brechfa village offers fine dining. 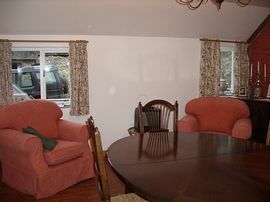 £60.00 per night for two people sharing. 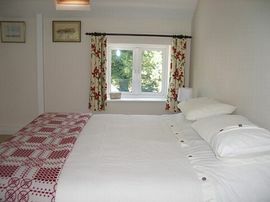 From £35.00 per night for single occupancy.